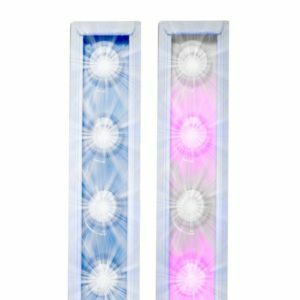 AgroMax continues the LED Grow Light Revolution with the AgroMax SOLO LED Grow Light bars! 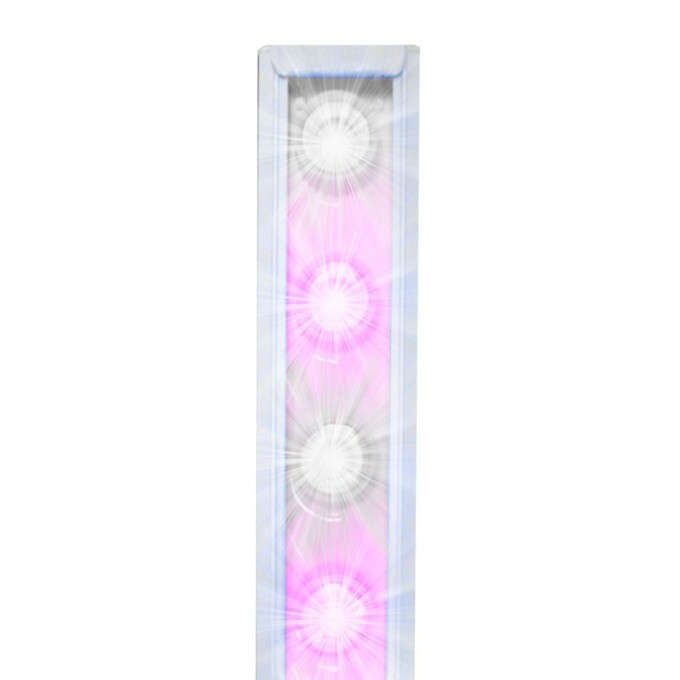 Each four foot bar incorporates 30 powerful 3 watt LED chips to deliver and incredibly efficient and specific grow lighting spectrums to your plants! The top quality AgroMax SOLO are lightweight, fully sealed water resistant light bars that do not require cooling fans. AgroMax SOLO LED Grow Lights benefits over traditional lighting sources include being completely silent, energy efficient and have an amazingly long life span of 50,000+ hours. AgroMax SOLO LED Grow Lights are complete plug-and-play 4′ systems with an external LED Driver with an on/off switch with a 9 feet cord and can be operated on 120v or 240v circuits. 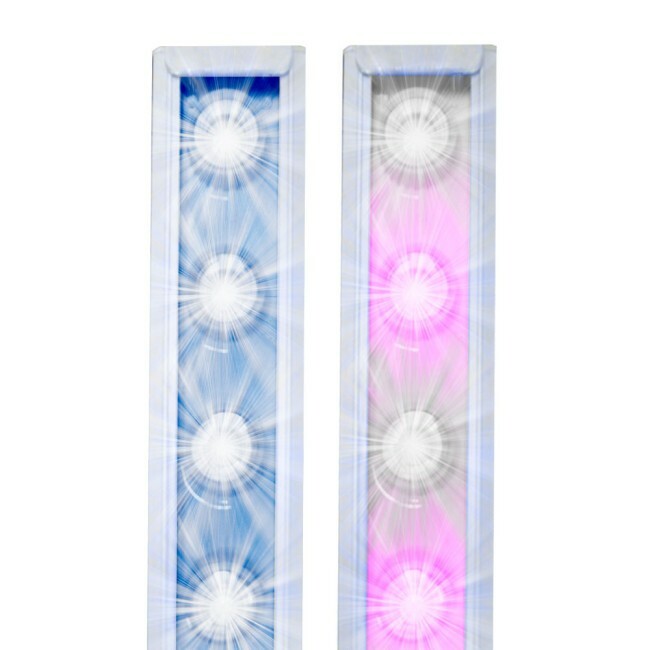 The AgroMax SOLO LED bars come in two spectral configurations of Harvest Blend and Total Blue to meet the needs of your garden. Harvest Blend: The AgroMax SOLO LED Harvest Blend spectrum is an intelligent blend of Full Spectrum Bright White lighting diodes combined with Turbo Red diodes to create a powerful lighting spectrum for increased photosynthesis. The Turbo Red diodes create a spectrum specifically for superior flowering results while the Bright White Spectrum facilitates maximum chlorophyll stimulation. 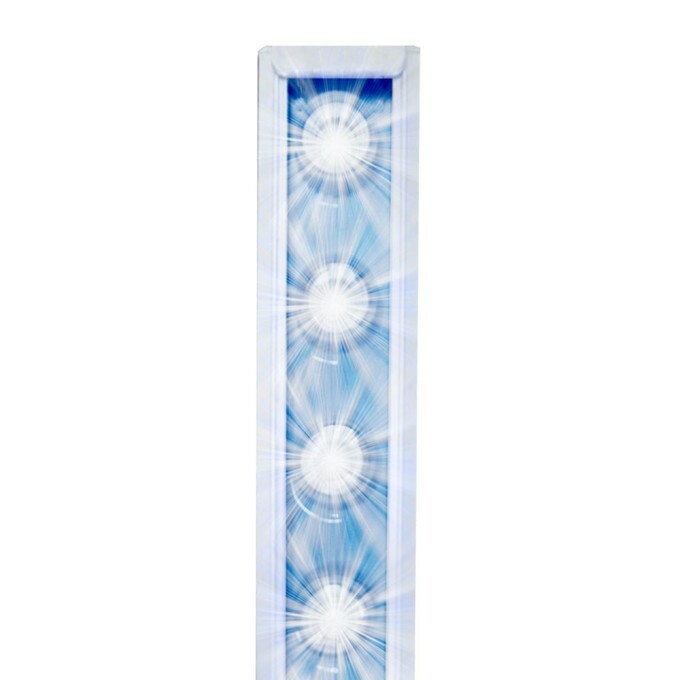 Total Blue: This innovative lighting configuration including the entire BLUE lighting spectrum with 95% of the light energy being concentrated in the “sweet spot” of 400-500 nanometer range. 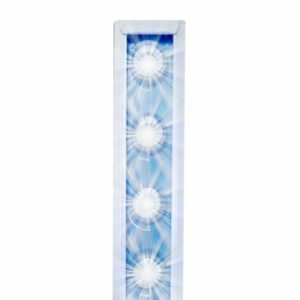 The Total Blue was designed to maximize green, vegetative plant growth and can be used as a stand alone Vegetative Stage lighting source or to supplement traditional lighting sources like HPS which lack the blue spectrum.